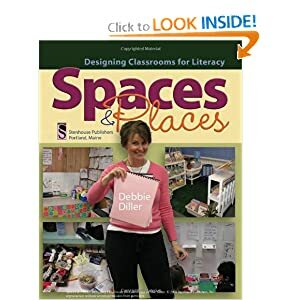 For the last few years, my school has used the Debbie Diller approach to literacy stations and classroom space. (My school even sent me to one of her workshops!) I used Debbie's advice and used a cohesive color scheme with tidy, organized spaces. 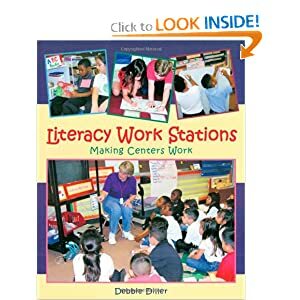 I have my room designed around 10 literacy stations, space for whole group, individual space, and small group guided reading, and I am absolutely convinced that this helped my students work better independently and stay on task. So, in preparation for next year so I have been looking back at pictures I took just before school opened last year. I am trying to determine what needs improvement, what went really well, and where I can pretty things up a bit to give the room a homey, comfortable feeling. I was thinking of keeping the green and yellow (I have TONS of baskets and bins in these colors), getting rid of the red, and adding layers with a print, polka dot, or stripe. Here's what I started with last year (keep in mind - this is before students came to school so everything is pristine and stations are a bit empty). We have a school-wide rules and social skills theme of "Stay on Track" so I bought real model train track from the Dollar Tree and hot glued it to a board outside my room. This year, I would like to add each child's picture to their train car. I'm your newest follower!!!! I'm new to blogging too. I love your room. You can come set mine up next. My room is so small and this year I'm going to have a lot of kiddos. I got to see Deb a few years ago and she was great. Thank you, Heather! Following you right back (and Pinterest, too)! Good luck with all those kids in your class next year! 26 or 27-whew! So Awesome! I love your bright colors and unified feel. Ms. Diller would be thrilled! I would love to see Debbie Diller in person. I have her book and like to reread it on occasion. It is so hard to purge. I'm trying but have lots more to go. I like the color scheme. I love the idea of using the tracks on the bulletin board. Is there a way we can get the rotation wheel in a blank template?? love it! I teach the first grade special ed collaboration class and I have found that the unified color scheme and increased organization has been so helpful for my sped students. 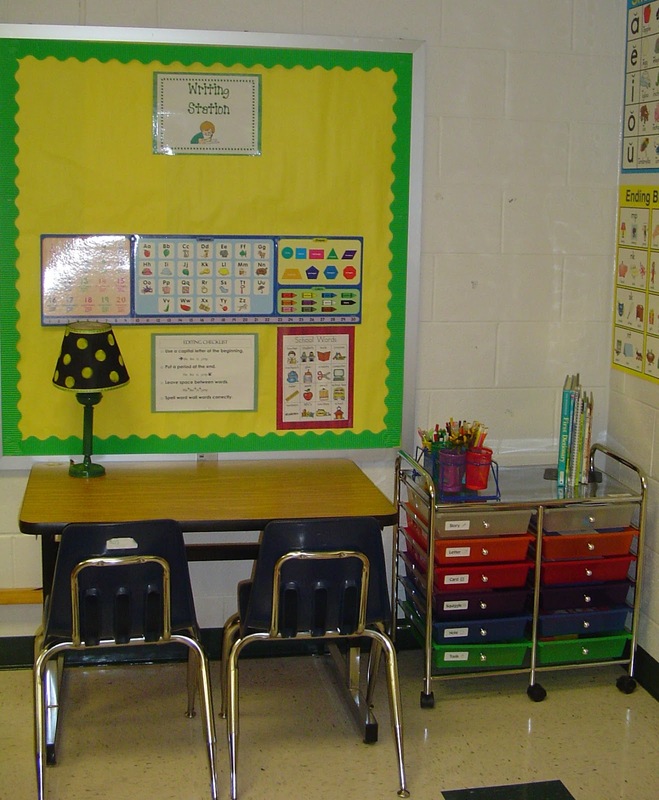 Many of them have attention issues so clutter (both materials and visual) can cause them much distraction. Thanks for your kind comments and good luck! Love...love...love your classroom! everything is so organized I Looove it! I need to know where you found your green baskets that (it looks like) you store books in on the shelves. I look forward to following you blog. Hi! Thanks for following! I got the skinny green baskets from the Target dollar spot ( although I think they were $2.50) and the big green baskets are from Really Good Stuff.